No magician can put on a show without their wand from the wizards of Harry Potter to the world of Harry Houdini, wands are the pinnacle of magical experience. They are both a symbol of transformation and illusion, but now they are the source of the magic themselves. 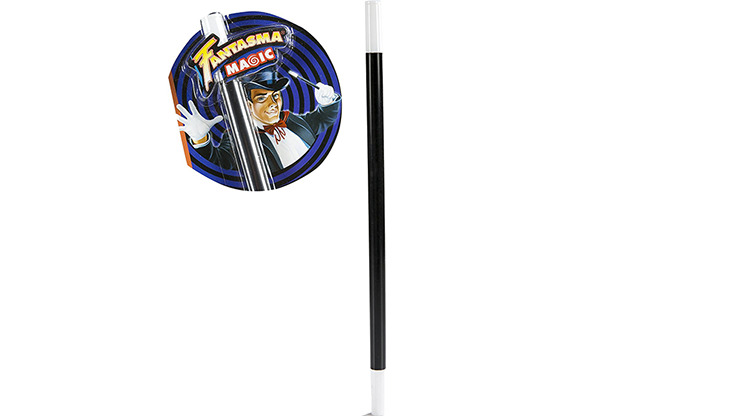 This Magical Rising Wand from Fantasma will put the awe in audience. Whether you're right or left handed you can have an incredible wand that will leave your crowd on the edge of their seats. The trick is so sleight that they will be begging you to do it again and reveal your secrets. But never tell! They won't believe how easy it is if you tell them the secret of the trick. The wand comes with both written and illustrated instructions so it's simple to learn. Even if you're cramming in a last minute trick before you go on stage, you can learn this at the drop of a hat and execute it perfectly. And for the rest of the show you can continue to use the wand as you would normally, waving it in the air and tapping it on your hat. It is the prop on which your entire show hinges, so it is worth a good investment.